Build a patient-centric, accessible, and responsible image sharing network. 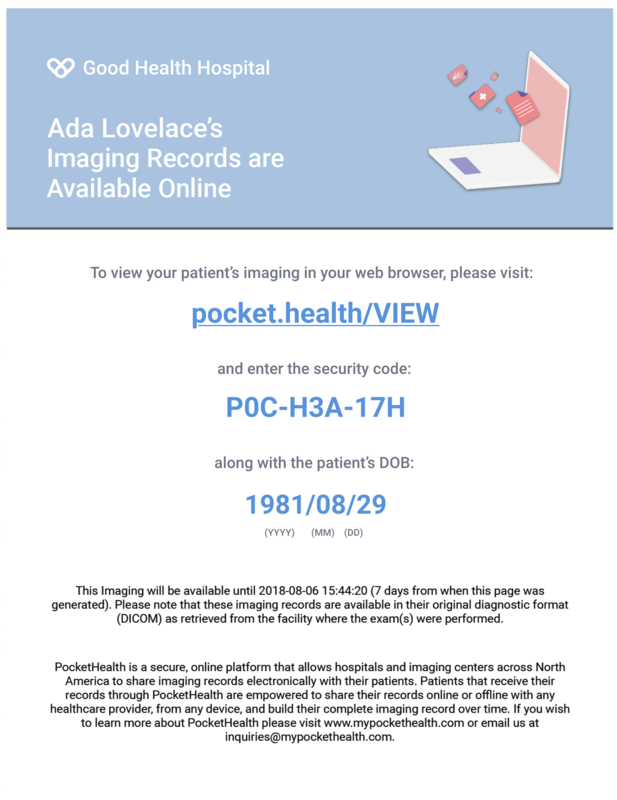 See what’s new with PocketHealth, our partners, and patients. Answers to common questions from our users and partners. 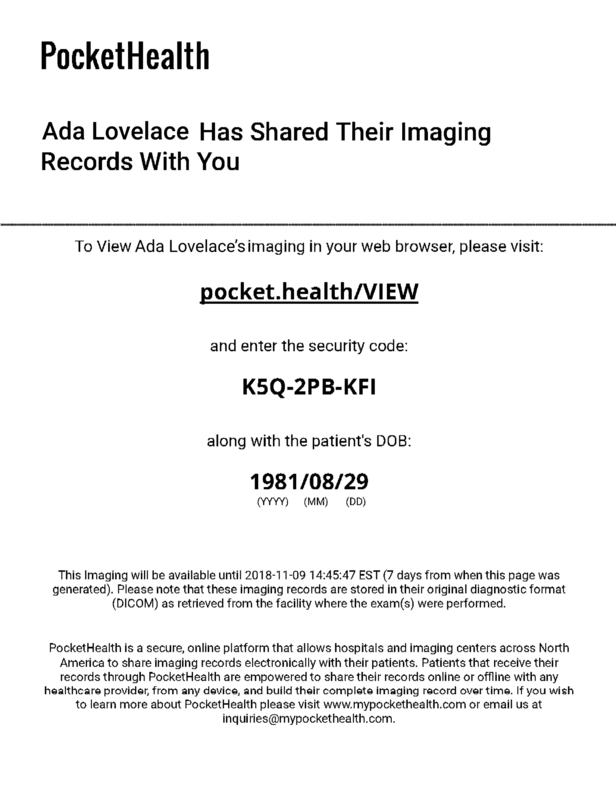 Secure, full-featured patient access to imaging records (that’s free for providers). Instant image Share with Other any receiving site, anywhere — period. Gather imaging from anywhere and automatically import it into your PACS. An Access Page containing the simple access steps (a web link, security code & patient’s date of birth) is received securely by Fax, right from your patient’s account. This access is valid for 7-days, or until the patient revokes it. If your patient doesn’t know your fax number, they can also print their Access Page right from home (or even write down the details) and, like a CD, provide it to you at their appointment. Patients can share a secure access link right to your/your reception’s email. No sign-up or login required, and this access will be available permanently, or until the patient revokes it. Patients can also burn a CD/USB containing their original DICOM imaging, reports, an offline DICOM viewer & Windows AutoRun — right from their PocketHealth account. Sharing by fax, Print-a-Link, or email provides physician with diagnostic quality images via the Health Canada-compliant eUnityTM diagnostic viewer directly on browser. Simple clicks to download records to your PACS. © 2019 PocketSix Technologies Inc.